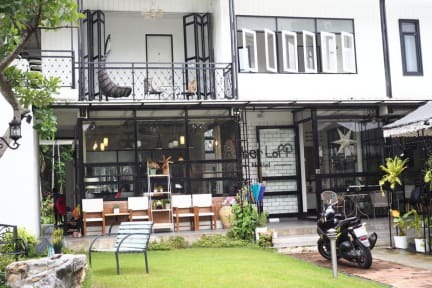 Sherloft Hostel & Breakfast kohteessa Chiang Mai, Thaimaa: Varaa nyt! 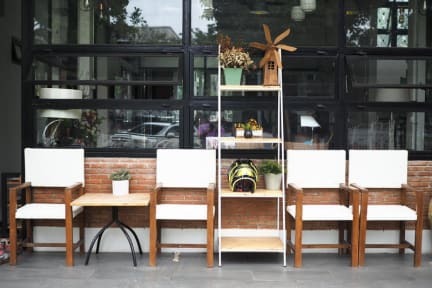 Sherloft Hostel & Breakfast is located at heart of Chiang Mai city center, where you can enjoy walking or cycling to many attractions in this lovely city. It is a short walk to the temples, shops and a famous market (Chiang Mai Gate Market) and the most largest walking street on Saturday and Sunday night. I enjoyed my stay at Sherloft. Stuff we’re super friendly and it’s easy to book all the day trips and busses/trains etc. trough them. The bed was very comfortable. Clean rooms and bathrooms. The hostel is beautiful and very cozy. Super breakfast every morning! Would stay again. One of my favorite hostels! Good and friendly atmosphere and met some amazing people! If you’re looking for party atmosphere wouldn’t say this is the right place for that.